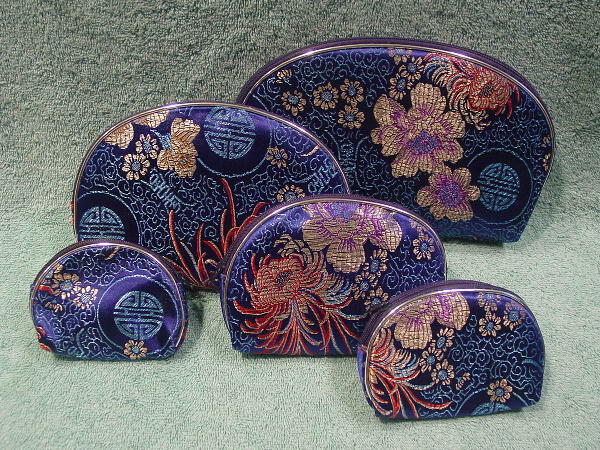 This never-used five piece purse set has a somewhat shiny fabric exterior and black plasticized interior linings. 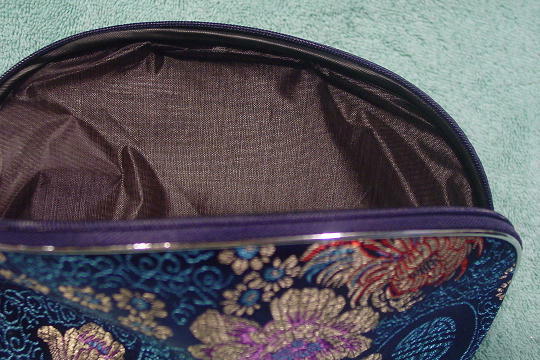 Each piece has a top side to side zippered opening and the top and side edges have silver-tone cord edging. The Asian design tone-on-tone thread pattern is in blues, brass, red, purple, and light brown. The largest one can be used as a clutch. The other four pieces fit inside one another and fit into the largest (clutch purse) one. The pieces are light in weight. She bought them while on a photo shoot in San Francisco.